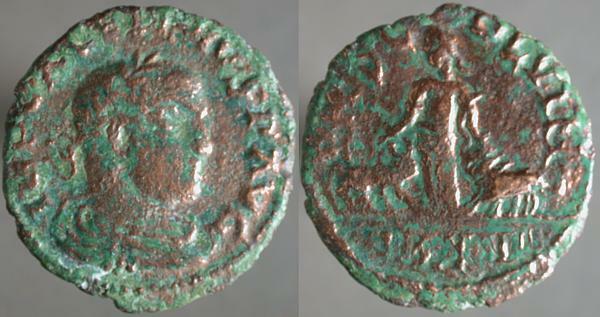 IMP VALERIANVS P AVG, Laureate draped cuirassed bust right | P M S C_OL VIM, Moesia standing, head left, with bull right in left field and lion left in right field. AN [XVI?] in exergue. 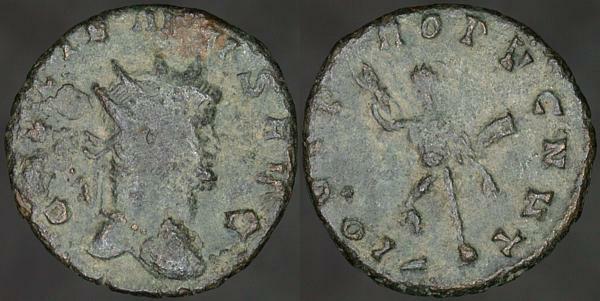 Like Tuesday, another coin from the colony city of Viminacium. GALLIENVS AVG, Radiate head right | IOVI PROPVGNAT, Jove standing right, brandishing thunderbolt in right hand, cloak flying from left arm. I think this is an ancient counterfeit, probably a cast. Not only does it look “wrong,” the casting process would explain why there is no officina mark, which the Göbl catalog always shows as present on coins with this reverse and this bust. LICINIVS IVN NOB CAES, Laureate mantled bust left with scepter, globe & mappa | VIRTVS EXERCIT, Two captives seated at foot of Vexillum inscribed VOT X, S I F HL in fields, ΔSIS' in exergue. The son of the elder Licinius, details of his fate after his father's defeat and death aren't recorded. 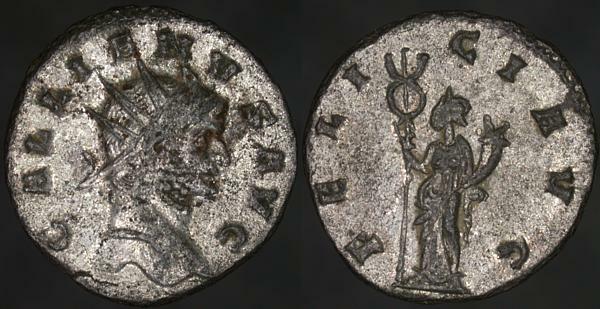 IMP C GALLIENVS AVG, Laureate draped cuirassed bust right | P M S C_OL VIM, Moesia standing, head left, with bull right in left field and lion left in right field. AN XVI in exergue. 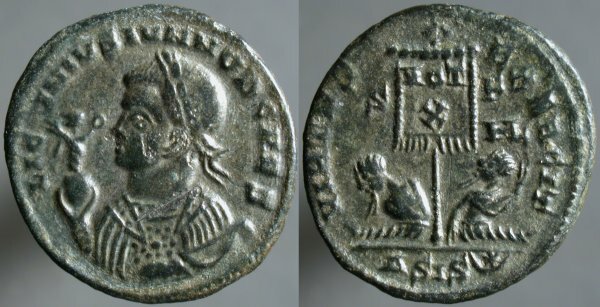 I admit, the wear on the obverse makes me suspect it's a coin of Salonina, but the legend makes it clear that it's of her husband. GALLIENVS AVG, Radiate head right | FELICI AVG, Felicitas standing left, holding cornucopia right and caduceus left. I've mentioned before (and may well again) but the caduceus is a symbol Mercury as the representative of travelers and of merchants. Only in modern times does it replace the staff of Asclepius as a symbol of medicine.